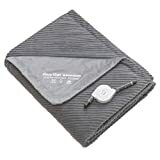 This fall, no matter whether you're sitting in the stadium stands or tailgating out in the parking lot, keep extra toasty warm with this cool new Cordless Heated Stadium Blanket. 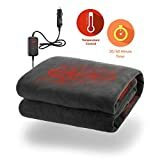 This portable heated blanket uses thin and imperceptible wires to quickly heat it up to a maximum of temperature of 110º F, is made from a smooth, lightweight material that sheds water, has three temperature settings, and provides 1.5 - 2.5 hours of heat on a 3.5 hour charge. 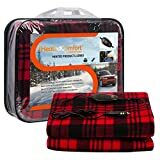 Perfect for all outdoor sporting events, camping, or just anytime you feel chilly while out and about in the world.